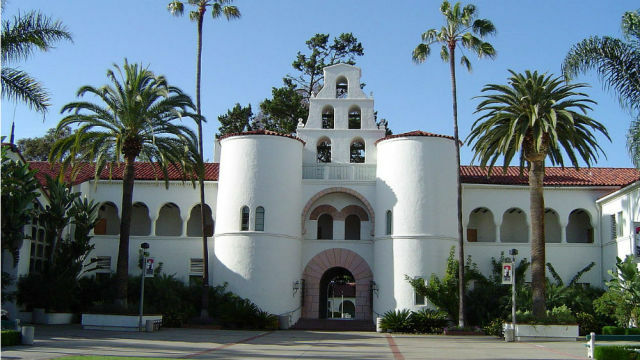 Help is on the way for community college students in San Diego County who want to transfer to one of the local Cal State University campuses. A $2 million grant will support a program giving area community colleges a larger role in helping students get a successful start at San Diego State University and Cal State San Marcos by sharpening their math and English skills. The Basic Skills Partnership Pilot Project is a regional approach to addressing basic skills in math and English that are necessary to succeed in college-level course work. About 1,600 freshmen entering CSUSM and SDSU in fall 2017 will be referred to community college partners for basic skills instruction, according to the San Diego and Imperial Counties Community Colleges Association. The grant, funded by the California Community Colleges Chancellor’s Office, was approved Monday by the Board of Governors. Community colleges involved in the project include Cuyamaca College, Grossmont College, Imperial Valley College, MiraCosta College, Palomar College, San Diego City College, San Diego Mesa College, San Diego Miramar College and Southwestern College. The Basic Skills Partnership Pilot Project will create a Basic Skills Instruction Research Center, a think tank, to promote best practices and models for preparing students for success in college. Part of its mission will be for the colleges and universities in the region to share strategies based on their work with the CSU campuses and K-12 districts to better prepare students for a post-secondary education. The Basic Skills Partnership Pilot Project will be administered by a program coordinator, who will work with each of the colleges and universities taking part.